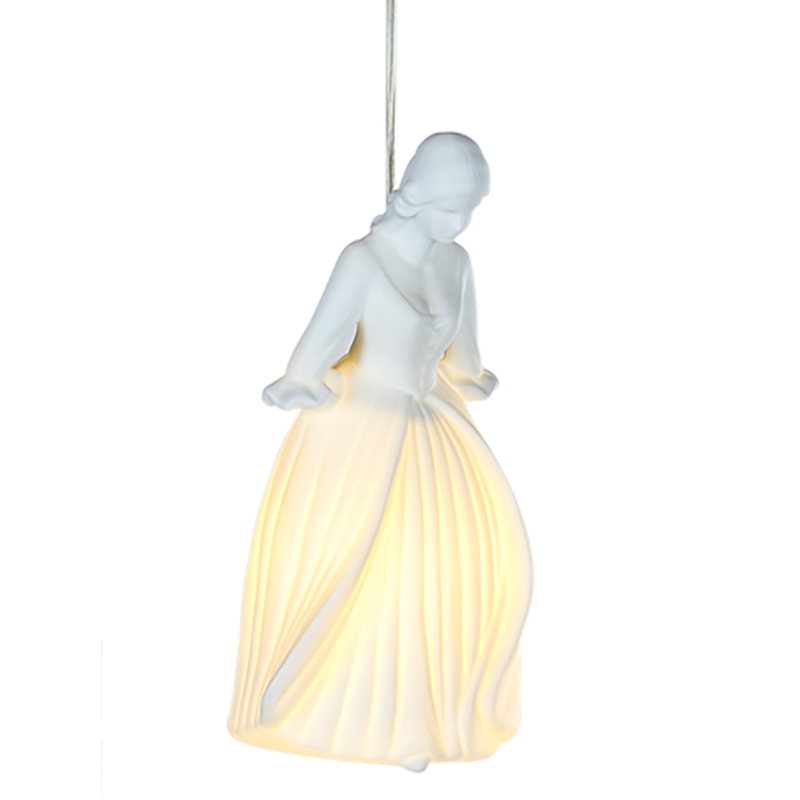 This exceptional pendant lamp featuring a very unique lady figurine is sure to impress in any room. Crafted from ceramic, this pendant light requires 1 G9 bulb. So brighten up your home today with this marvelous piece.